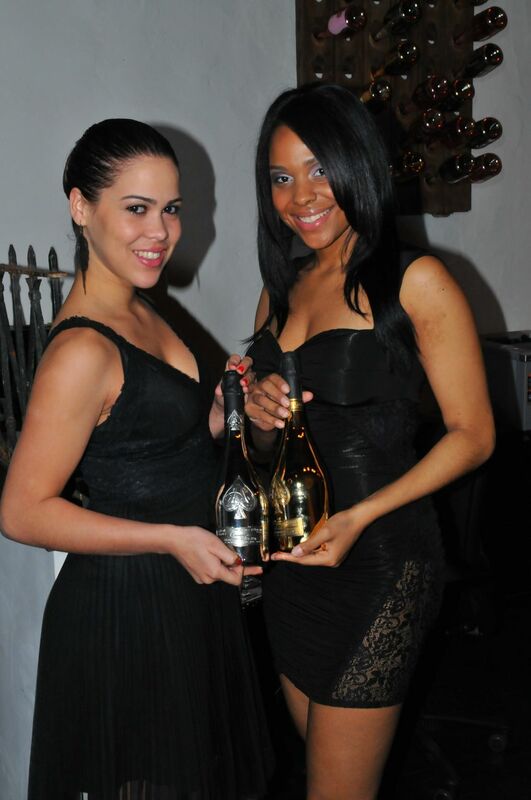 fashionably petite: Armand de Brignac Champagne - "A Taste of Luxury"
On March 25th, I attended the "El Sabor de Lujo" event, celebrating Armand de Brignac Champagne's (also known as Ace of Spades) recent rating as the No. 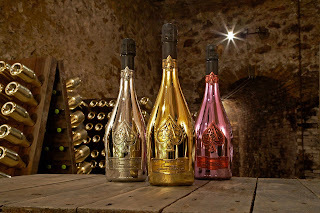 1 Champagne in the world! 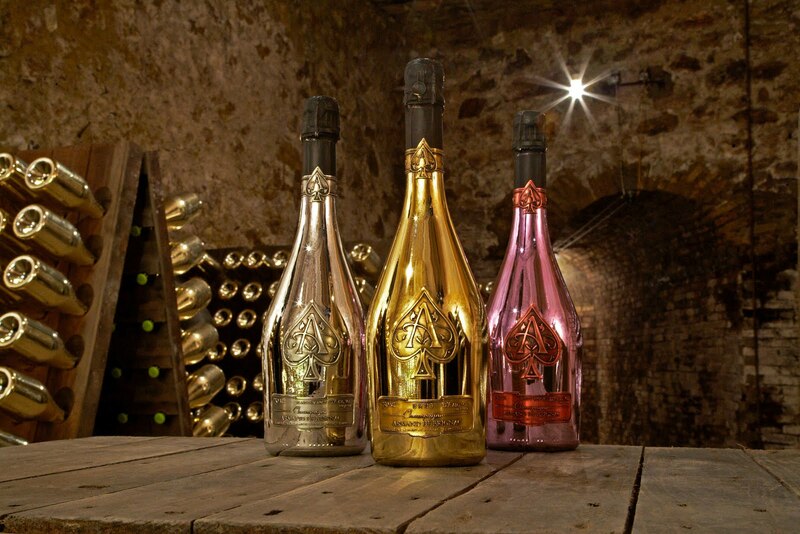 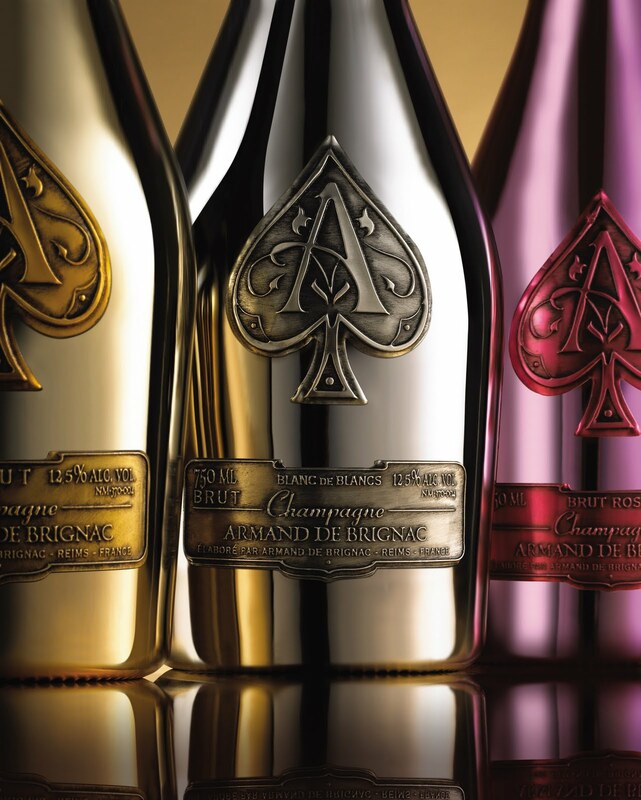 Armand de Brignac beat out Cristal and Dom Perignon in a blind taste test of 1,000 brands. 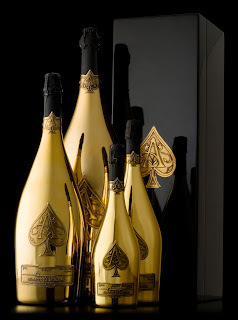 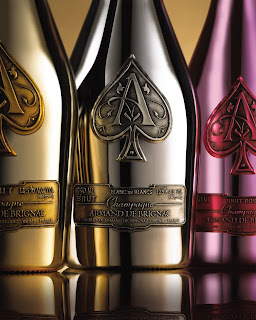 "The Aces" have become the Champagne of choice for A-list celebrities - Jay-Z, P.Diddy, Beyonce and Alex Rodriguez. 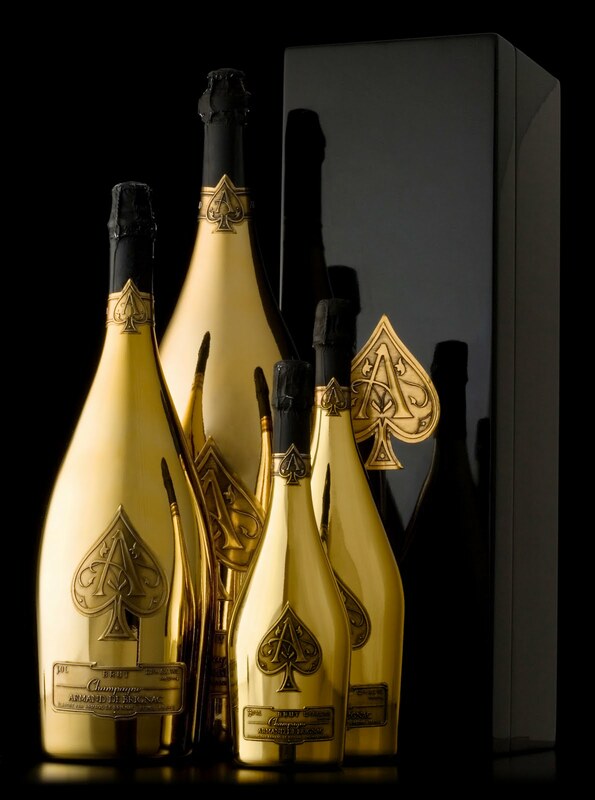 Armand de Brignac is packaged in a flashy, high end hand-dipped metallized bottle with four hand-applied and polished pewter labels. 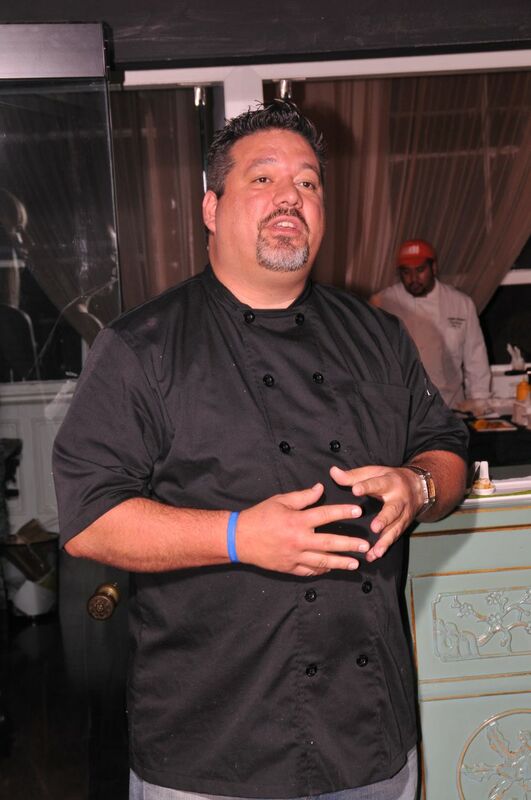 The event featured a champagne tasting of Gold Brut, Rose and Blanc de Blancs cuvees, with Latin chef Alex Garcia of Calle Ocho restaurant hosting the event. I caught the tail end of this event, sampling the delectable desserts by Alex Garcia - mini pancakes topped with caviar and donut-like pastries filled with warm hot chocolate mousse, paired with the Rose.